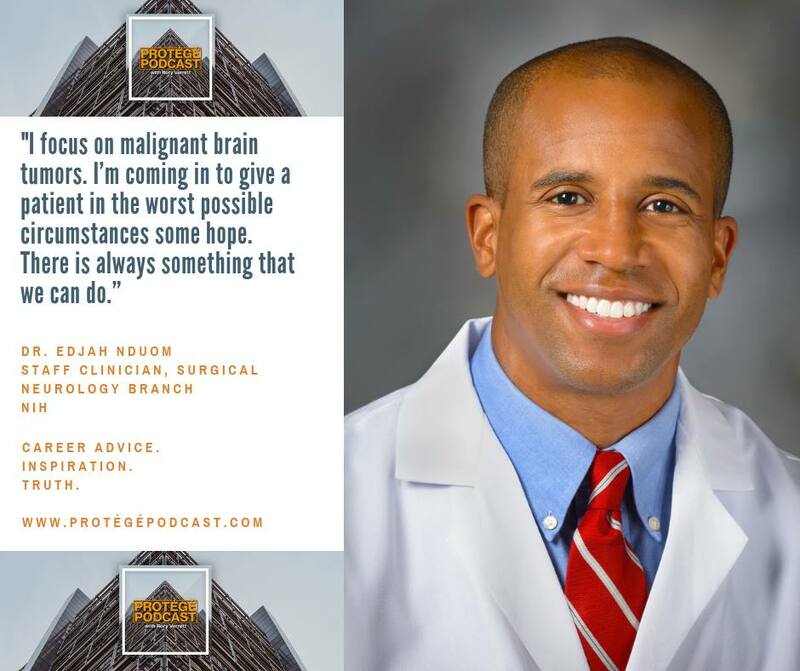 On this week’s Protégé Podcast, I have an inspirational conversation with Dr. Edjah Nduom, a neurosurgeon at The National Institutes of Health (NIH). Edjah and I talk about the long and difficult path through medical school and his residency, the impact of mentors in his life, and how he brings hope to his patients during some of the darkest moments in their lives. On the Rant/Rave/Review segment, I rant about the college cheating scandal and the myth of meritocracy.